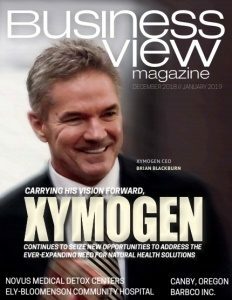 Business View Magazine interviews Chuck Rifici, Chairman & CEO of Auxly Cannabis Group Inc., for our focus on the Cannabis Industry in Canada. 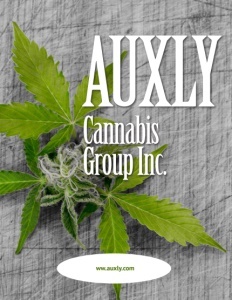 Auxly Cannabis Group Inc. is a vertically integrated cannabis company with diverse operations across Canada and Uruguay. Founded to provide financing solutions to cannabis license applicants, the company has since evolved into a platform spanning the entire cannabis value chain. This model, adapted for the cannabis space, allows for substantive control over its operations through increased operational flexibility, economic resiliency, and improved product margin dynamics in an effort to create long term shareholder value. Auxly Cannabis Group Chairman and CEO, Chuck Rifici, is well known in the North American cannabis industry, having founded Canopy Growth (formerly Tweed) in a dilapidated chocolate factory and built it into over 500,000 square feet of thriving marijuana grow capacity. Business View Magazine recently spoke to Rifici about his insights on the fast-evolving cannabis industry in Canada, and his company’s ambitious growth plans for the future. The following is an edited transcript of that conversation. BVM: What inspired you to start Auxly Cannabis Group and how has the company evolved? Rifici: “Auxly had its genesis after I left Canopy Growth and was looking at how I wanted to create a vertically-integrated cannabis company. It began with cultivation and bringing together a team of individuals that would attack and mitigate all the risk elements that go into building a cannabis company. Together with my founding partner, Hugo Alves, who also founded the most successful and largest cannabis legal and regulatory practice at Bennett Jones, we pulled in people I had worked with at Tweed on the facility construction side, and people with expertise in building out cannabis facilities, or branding, or cultivation. That’s how the company launched. BVM: How did you raise the capital? Rifici: “We took over a shell company that was already listed – our first raise was just over $50 million in July 2017. To date, we’ve gone back to market several times and raised over $350 million in the last year. At this point, we’re now fully funded for our existing plans – both building up cultivation assets, as well as processing and manufacturing capabilities. We now have over 100 employees, since we concluded an acquisition recently of a company called KGK, a contract research organization (CRO), to help us do clinical trials. BVM: You have companies in all aspects of the industry – is your plan to invest wherever you see value? Rifici: “My focus is on the product side. Currently in Canada, we don’t have a wide variety of products, due to the regulatory environment. We can sell flower in the medical and recreational markets, and limited types of oil products, but in the next year we’ll see the emergence of many other kinds of product formats you’d find in dispensaries, such as vape pens, edibles, tinctures – that’s where the long-term brands will start getting creative and resonating with customers. BVM: Being in the cannabis industry, do you find it challenging dealing with financial institutions? Rifici: “Some of our big banks in Canada are still reticent to back the industry, but BMO (Bank of Montreal) did our last financing and is open to cannabis businesses. Canada’s largest bank, RBC, is still closing accounts for cannabis companies at times, so it’s not perfect. But we are able to bank and take credit card transactions for sales; it’s a much better environment than south of the border. BVM: How do you differentiate yourselves from competitors? Rifici: “Where we differ from Canopy Growth, Aurora, Aphria, and a few other top Canadian cannabis companies, and where we think our advantage lies, is in a couple of distinct items. One, being our cultivation platform; by working with partners, which is really the core difference across everything we do. When we put together our Auxly team, we thought we’d own everything, do everything ourselves. But that’s usually not a recipe for success. You have to pick where your strengths will be. Our tag line is ‘growth by diversity,’ and it’s really through diversity of our partners. 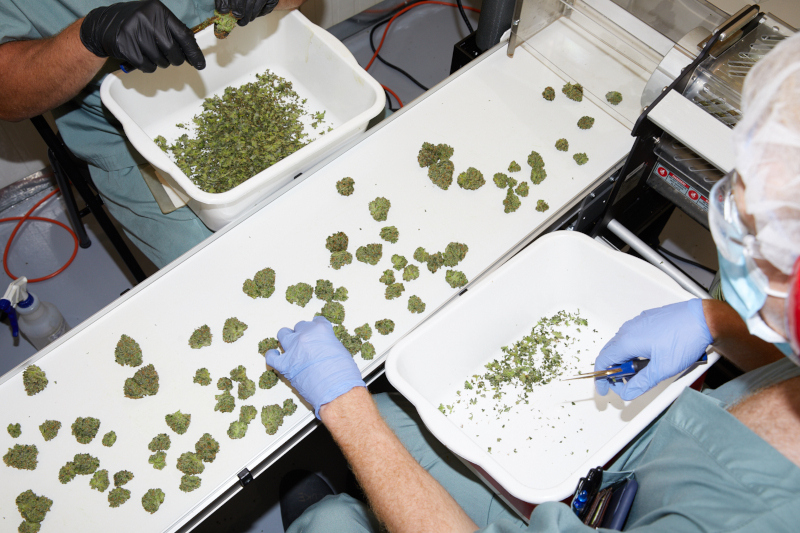 The majority of our production is through joint ventures and partnership arrangements, where we’re providing capital and specific cannabis expertise, or regulatory expertise to great growers, and having them build the facilities, operate them, and grow that product. “With that done, we’re much more nimble and able to apply a lot more leverage from our team to those facilities – build them faster, on budget, on time, because in some ways it’s a large field trial. If we have 13 partners in Canada, some will do better than others. Over time, as they’re able to expand, we get to back the winners in our platform and take product from the ones that aren’t quite as good but are good enough. We have a built-in actionality in our production to hone that. Because of those arrangements, we essentially buy that product at a fixed cost, set terms that are advantageous and, as price compression enters the market on the raw cultivation inputs, the economics of those agreements are far better than operating the facilities ourselves. Rifici: “Our goal is to win market share of product in Canada, and then to do some very targeted international expansion. Our farm in Uruguay is expandable to nearly 2,000 acres of outdoor cultivation. That’s just CBD today, but we think CBD will become a less regulated substance than THC in many markets, so it’s important to develop international opportunities. We do plan to have a European presence over the next year to be able to import/export product. But, ultimately, it’s about winning in Canada. As the first G7 country to have full federal legality, it’s to win the hearts and minds of consumers with products and brands that will resonate, and then be able to export them into other markets. The most important point is that we’re building a fully-integrated cannabis company; we’re not just streaming anymore. Read our article on Dosecann Inc – Global Cannabis Solutions. Check out this other handpicked feature on Global Hemp Group Inc. – Healthier future through sustainable business strategies. Who: Auxly Cannabis Group Inc.